disposable handkerchief (just as Kotex was a disposable menstrual pad). this is 1947 and in an industry that men ran. Everyone talks about menstruation today - right? Ha! 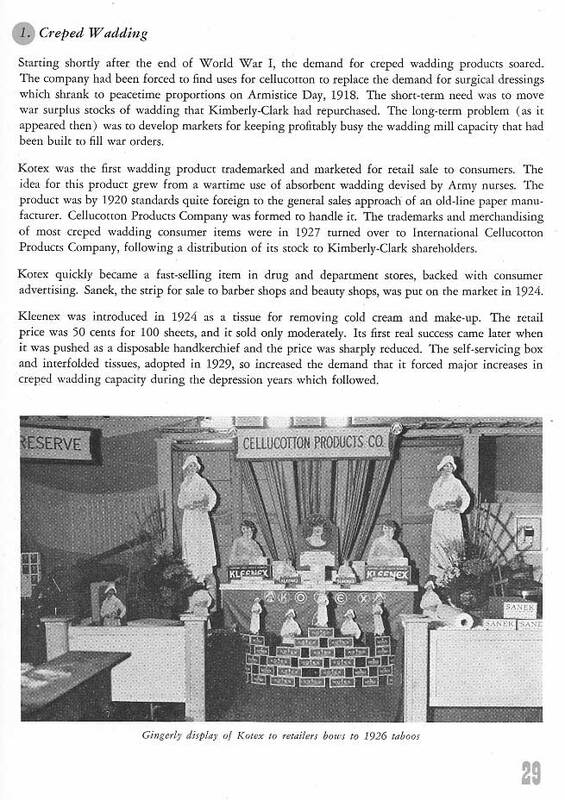 Read the interesting story of KLEENEX in the last paragraph. I enlarged the photo on the next page.